Find exactly what you're looking for, every time. As sellers, we know how important it is to be on top of your products, listings, and orders. SureDone was built with the ability to customize searches at its foundation, allowing you to quickly find the products you need by any criteria you choose. Base entire workflows on our powerful, user-defined filters. Stay on top of your business with this dynamic tool. Search with complex logic and comparisons - including comparisons against other fields. Search for any attribute, even custom fields. If it's on our platform you can search for it. 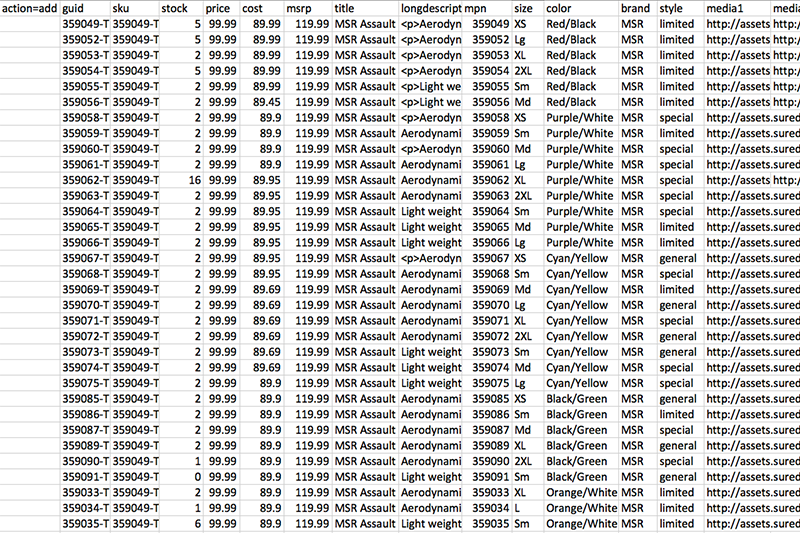 Searches can be saved and all results can be easily exported to Excel for further analysis. With our customers in mind, we built the power and flexibility that every eCommerce business needs. Using advanced syntax and logical operations, if a field is stored in SureDone, you can use it in a query. 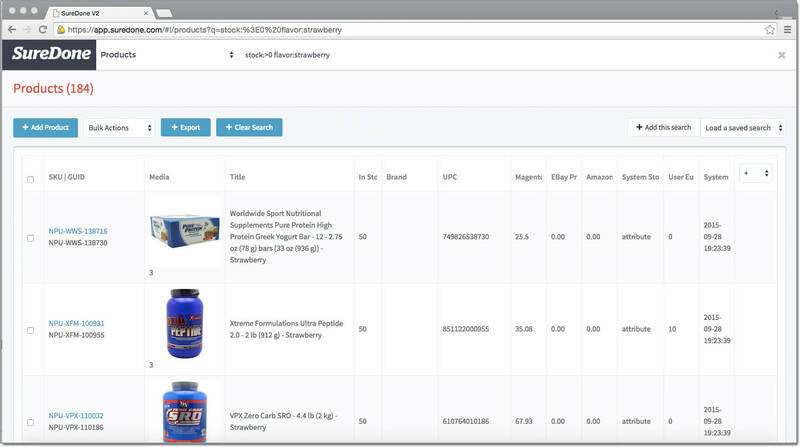 Search for products, orders and export to CSV in one click. Always know what you have in stock, what is currently listed and what you have sold. And you can even compare one field to another. For example, show all products currently listed on eBay where the price is less than the cost. Search for your desired products (e.g. all strawberry flavored products that are in stock), download the results, and update the listings using our bulk uploader. If you have ever been frustrated that you are not able to access the correct information, you will immediately recognize what SureDone can do for your business. Get in touch now to find out how.